Hi everyone! 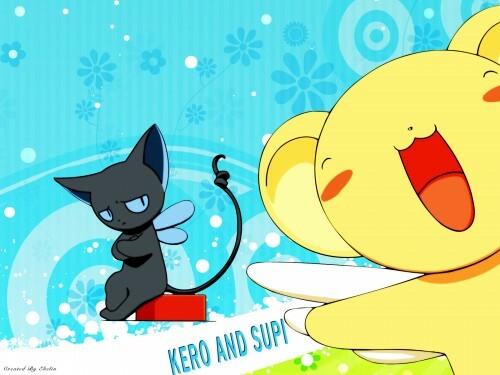 This is my vector wallpaper of Kero and Supi. I think this to guys are very friends. Or not? :P.
anyways,it's a fav for me because i really like the characters and the scenery. Very cute, incredible wallpaper, I congratulate you by the tremendous work. It's a really cute wallpaper ^^ ! Love it ! I love the bg you made! I love Kero, he is so cute!